Sontext have now introduced a range of acoustic clouds called Sonofonic. 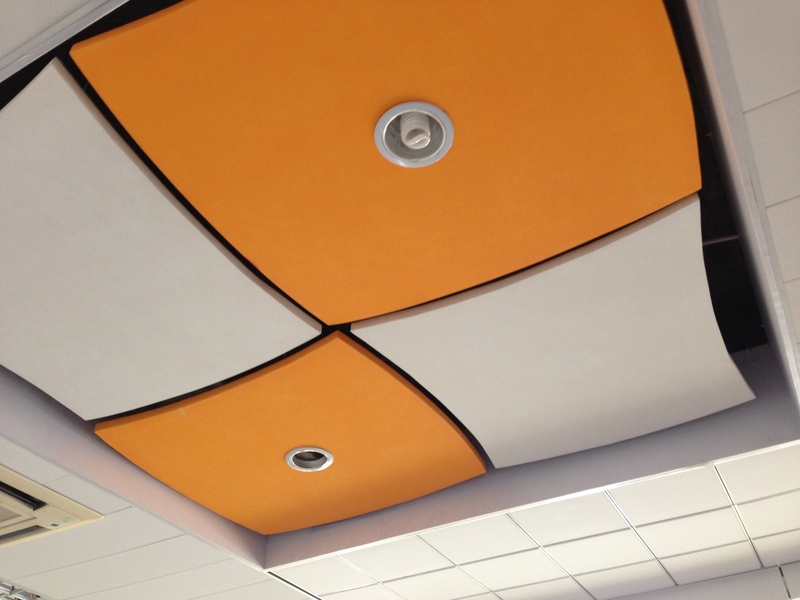 Available in the Pantone colour range and in a number of shapes, Sonofonic Acoustic clouds provide an alternative to traditional acoustic ceiling panels. Sonofonic clouds can be used in areas such as large open learning centers where there is a lot of noise a hearing of teachers is a problem. By adding Acoustic Clouds to the ceiling the noise can be reduced significantly. The Sonofonic Clouds are suspended from the ceiling with chain or wire making installation very economical. This entry was posted in Uncategorized and tagged acoustic baffles, Acoustic clouds, sonofonic, sound shapes on July 10, 2014 by Gerald Hynes. Sontext UK was officially started in May 2014 as part of the Sontext group worldwide. Sontext UK will be responsible for selling the Sontext range of Acoustic products to Europe and the Middle East. These products include Fabric Acoustic panels and Acoustic Wood Panels.